La Sieste is a family-friendly site and offers pitches suitable for tent, caravan or camper. Every pitch can be connected to an electric hook-up point, and you can also rent a refrigerator. The site is well equipped for clients with disabilities. 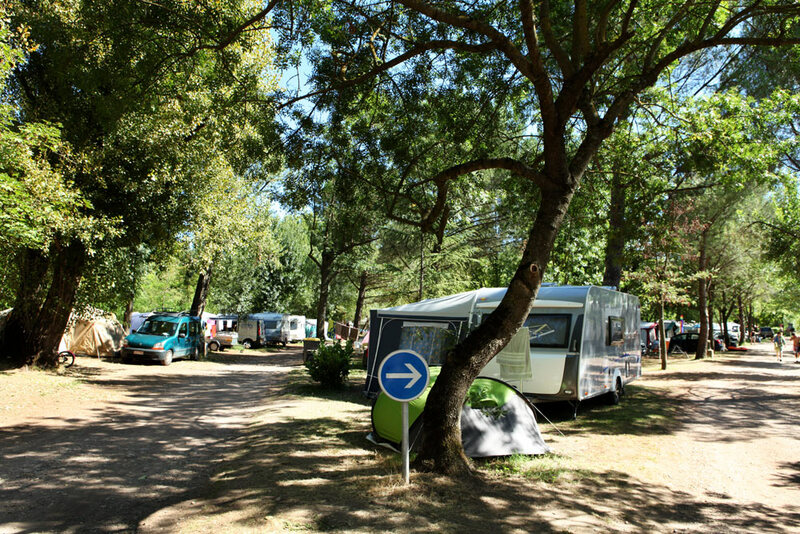 La Sieste offers 70 spacious pitches, ideal for tent, caravan or camper. Most have shade trees which provide shelter against the summer heat. These are popular among families with children. Want a pitch near the river, with fewer trees or close to the sanitary facilities? Just make your wishes known and we will do our utmost. Adding a few luxuries to your camping holiday could make all the difference. 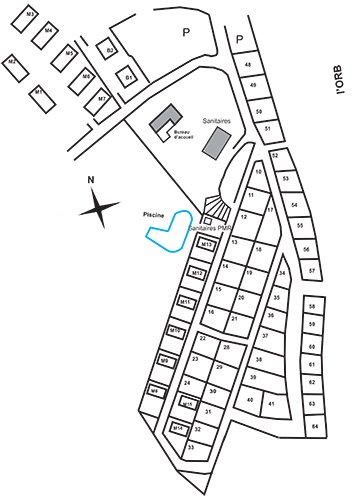 Every pitch can be connected to an electric hook-up point. Your choice of amperage: 4, 6 or 8A. Easy access for recreational vehicles. You can fill your RV’s fresh water tank and empty the holding tanks. An electric hook up is available. Let us know if you use a satellite dish and want a pitch with a clear view of the sky. A dedicated and private sanitary complex is provided, fully adapted for persons with disabilities. Please inform the management if you desire a pitch close to these facilities. 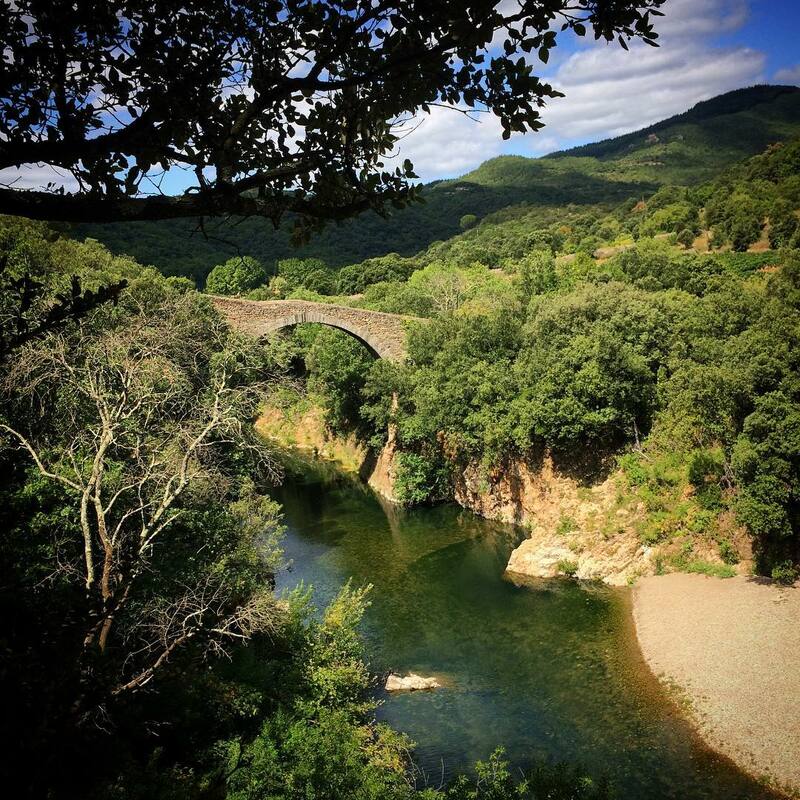 The highlands (Haut Languedoc Nature Park, Monts d’Orb, Causse du Larzac…) offer plenty of opportunities for the hiker, biker and explorer. The sun-lover finds endless beaches and flamingo-filled lagoons. If you are into culture, the region abounds with historic sites. And everywhere you will find an authentic and delicious cuisine and great wines.